Do Japanese learners need an electronic dictionary/ Denshi Jisho? If you are committed to studying Japanese for the long term, you might be thinking about buying an electronic dictionary, commonly known as 電子辞書 /denshi jisho. I own one of these electronic dictionaries, but for some time I struggled to decide whether I really needed one. Therefore, I thought it might be helpful to put together a post for those who are about to make a similar decision. A quick note: if you are just starting out with learning Japanese, I suggest sticking to free online dictionary resources that are beginner friendly – I recommend the website Jisho.org, or the Akebi dictionary app. If you’ve been to Japan and visited a Japanese electronics store like Yamada Denki, you’ve probably come across rows of 電子辞書 denshi jisho, aimed at students and businessmen learning English and other languages. As educational gadgets go, these little things can be pretty expensive, with top models costing hundreds of pounds. Two of the main companies that produce these electronic dictionaries are Casio and Sharp. The denshi jisho I have is a Casio model that I purchased about 5 years ago. I tend to use it alongside free resources depending on what I am studying. Access to multiple dictionaries. Models nowadays contain more dictionaries than you can shake a stick at, with a number of Japanese dictionaries, Japanese-English dictionaries, and other helpful dictionaries dedicated to kanji and kotowaza amongst other things all in one. Durable. Naturally, electronic dictionaries are not only more portable but will cope better with being thrown into a bag to take to Japanese class, for example, than a paper dictionary. Quick and easy to search and ‘jump’ between dictionaries. It’s super easy to switch dictionaries (eg. between a Japanese-English and a Japanese-Japanese dictionary) if you want to learn more about a word. No chance of getting distracted. I find that when using my phone to look things up during a study session, I’m highly likely to check social media. Certain models have additional features such as handwriting input, touch screens and a SD card slot for access to even more dictionaries. Obviously, there is some benefit to having lots of dictionaries all wrapped up into one gadget, but in the age of smartphones is an electronic dictionary still a worthy purchase for Japanese learners? In my opinion, the usefulness of an electronic dictionary does depend on how you study the language. What Japanese level are you at currently? As I mentioned at the beginning, the usefulness of a denshi jisho only really comes into its own once you have reached an intermediate level in Japanese, no matter what your language goal. Buying a Japanese dictionary in Japan, of course, means that you have a whole new gadget to get used to without a manual in English to help you. A lot of features on the model I have are intuitive and fortunately with a bit of playing around it is quite easy to work out how to look things up. As a gadget aimed at Japanese natives, there are more dictionaries and resources solely in Japanese rather than Japanese-English/ other languages. Therefore if you are, for example, at a stage where you are looking at moving towards using a Japanese-Japanese dictionary, you will find much better value in purchasing an electronic dictionary. How intensively do you study Japanese? Whether I reach for my electronic dictionary or my or my phone depends on what I am looking up. I find the specialised functions of a dictionary the most useful when I am looking up more than one word (eg. Perhaps when I am starting to read a new book). The backlit screen and easy zoom buttons make reading definitions really simple, and if a word uses a kanji I have not come across before I am able to click on it and find out the stroke order much more easily. In addition, because I can choose from a number of different dictionaries it is easy to cross reference meanings and get more example sentences, whereas on my phone I would have to bring up each dictionary website individually. A crucial benefit of the model I have is that it has a touchscreen where I can write kanji using the stylus. I have found this much more accurate than the equivalent apps I have on other devices, especially if I am having to look up a lot of unfamiliar kanji. Even basic models will allow you to jump between different dictionaries easily, so if this is a function you think you would make use of then an electronic dictionary may be for you. What are your Japanese language goals? Your value for money for an electronic dictionary is going to depend on what level of proficiency you are aiming for in Japanese. It is worth noting here that the dictionaries you have on these gadgets will not have more casual or recent buzzwords; for this type of vocabulary, the internet is definitely your best friend. If having a high level of literacy is part of your language goal – for example studying in a Japanese university, or pursuing a specialist profession in Japan – then an electronic dictionary is more likely to be a wise long-term investment. Based on the above considerations, the types of people who I think would make the most out of electronic Japanese dictionaries would be those that are already at an intermediate level, who are perhaps in a situation where they are studying towards becoming proficient in Japanese for professional purposes. This isn’t to say that you should not buy a Japanese dictionary if you do not fit the previous description, but given the expense involved, I think you may want to first consider borrowing a model from a Japanese friend if possible and see how useful you find it. I personally found my model on eBay, so looking online for a cheap electronic dictionary is another good option for keeping the costs down. 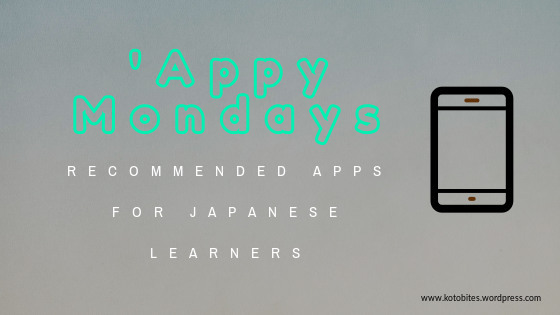 However if your budget cannot stretch to buying one just yet, do not worry as there are some great Japanese dictionary apps and websites out there which cost very little or are free, such as Jisho and Akebi mentioned earlier. As an aside, if you prefer physical dictionaries and reference books, Tofugu recently had a highly informative guest post by Kim Ahlstrom about dictionaries that serious learners may find useful. Have you got an electronic dictionary? Do you find it useful or prefer using an app or physical dictionary? Let me know your thoughts in the comments!